An actress, singer and writer, Bryony trained at L.C.T.S. in London’s trendy Hoxton after which she made her professional debut as Lucy in an off-West End production of The Rivals. Other roles followed including Suzie Byrd in Lights, Camera…RESTING!, Clara in Passion, The Woman in Marry Me a Little, Cinderella in Into the Woods, Woman 2 in Closer Than Ever, Ann Rice in Dead Woman’s Ditch, Mrs Cratchet in A Christmas Carol, & Masha in The Seagull. 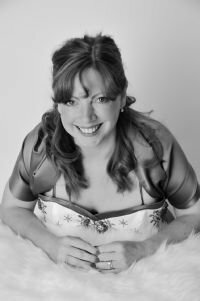 She has also been fortunate enough to appear as a soloist in many Variety Shows both at The London Palladium and Her Majesty’s Theatre in London’s West End, Opera roles include Susanna in The Marriage of Figaro and Lakme in excerpts from Lakme. Bryony has had many featured roles in both Film & TV including Misty Parish in The Greenwich Village Massacre, Karen in The Parting, Lisa in The Threshold, Abigail’s Mother in Small Potatoes, & Barbara De Noxa in Whatever I Want amongst others. Her most recent TV appearance is as the lady in the Postal Gold advert starring alongside 3 gorgeous half naked men. It was a tough job, but some-one had to do it!! Bryony is presently co-writing the book of a new musical called Reality with the talented composer Matheson Bayley, which they are entering for the Mercury Musical Workshop Awards in 2011…..wish us luck!